Looking for a program who could detect errors in your thesis? Perhaps you need to check grammatical errors every time you make your blog post? Introducing The World's Best Automated Proofreader that's easy to use and can detect mistake or even check plagiarism is now available! 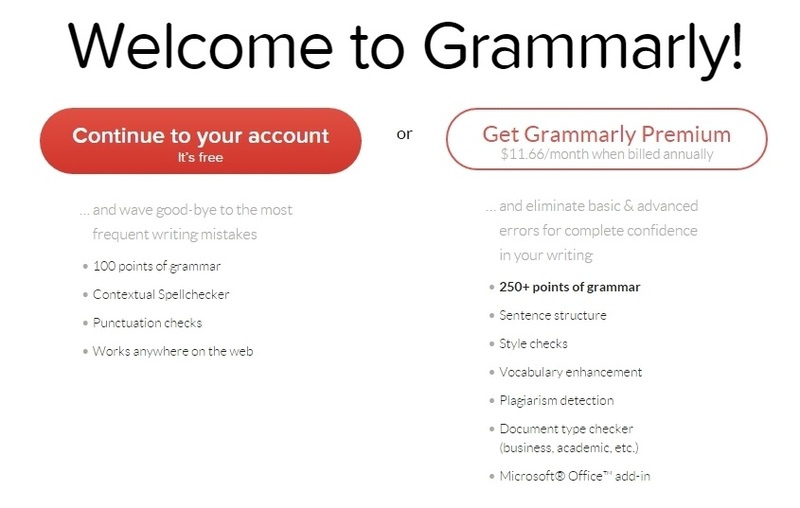 Grammarly is the world's leading software suite for perfecting written English. 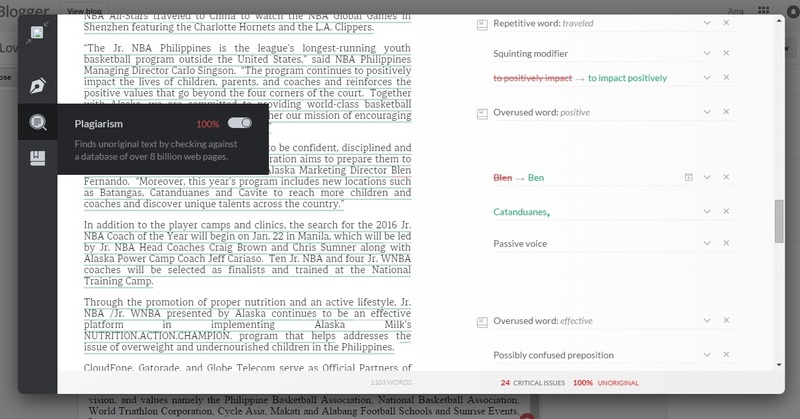 It tests for more than 250 types of spelling, grammar, and punctuation errors enhance vocabulary usage and suggests citations. It's an award-winning writing tool that has huge meaning impact to users' in improving their English writings. Setting up an account is very easy. 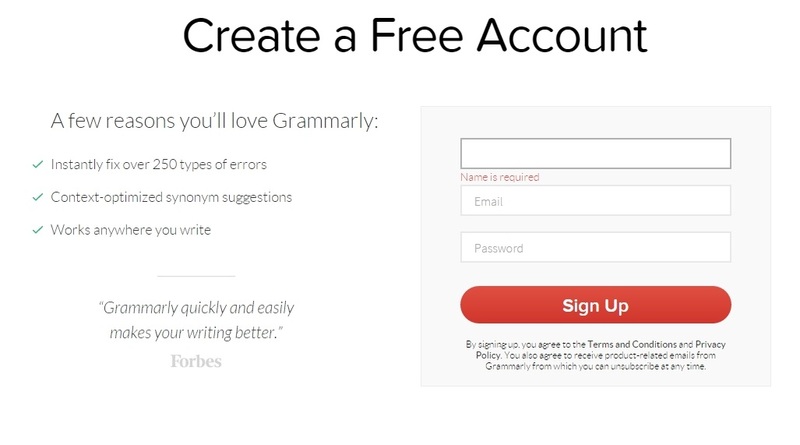 Once you got directed to the sign-up page, you'll need to click on the "Get Grammarly for FREE red button" and fill up the necessary details to create a free account. 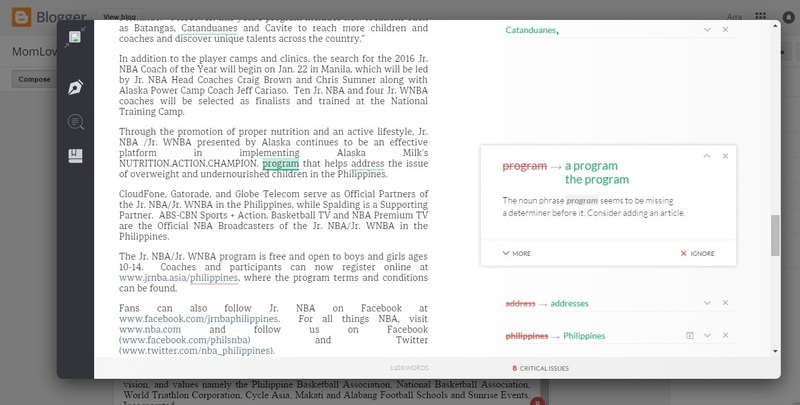 Once you got your free account, you can now use Grammarly in checking mistakes and even install as the free browser extension, but the features are limited. A premium member can have the access to 3 Grammarly apps that can be installed anytime. Grammarly for Chrome- Grammarly’s free browser extension helps you write mistake-free in Gmail, Facebook, WordPress, Linkedin, and anywhere else you write on the Web. Grammarly For Microsoft Office- If you prefer to write documents using Microsoft® Word, then installing Grammarly’s add-in is a must. As a bonus, this add-in also integrates with Outlook™ to help you ensure your emails are grammatically correct before you hit send. Grammarly for Windows- Grammarly’s native app will be right at home on your desktop. Access your documents or start a new project with one simple click.